Notes: Local in calcareous grassland, chalk downland, heathland, sand-dunes, shingle beaches and damp grassland throughout much of England and Wales. 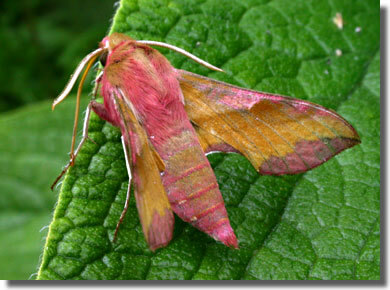 In Hampshire and on the Isle of Wight still common on chalk downland, and also occurs on coastal shingle and sandhills, with occasional wanderers elsewhere. Wingspan 47-56 mm. 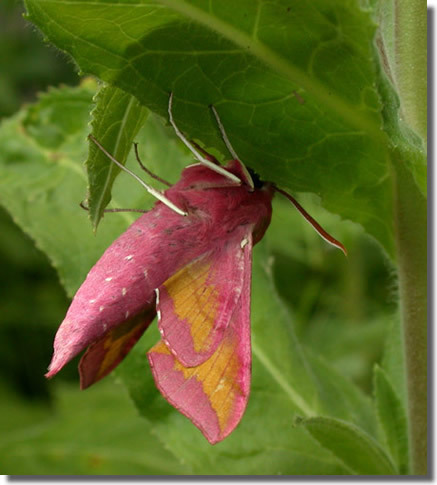 Elephant Hawk-moth D. porcellus is superficially similar, but larger, with forewing olive-green and pink, not yellow and pink. 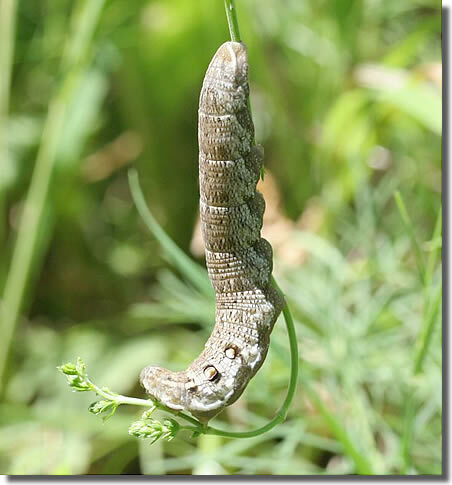 Larva feeds on Lady's Bedstraw, Hedge Bedstraw, Heath Bedstraw, Marsh Bedstraw, Rosebay Willowherb and Purple Loosestrife, over-wintering as a pupa.